Well, this is disappointing, even if it’s sadly not much of a surprise: InStyle magazine is getting justifiably slammed for photoshopping a perfect hourglass figure onto Kate Upton’s ultrasound. Ugh. When will magazines learn that this is not okay? InStyle, a long-running women’s fashion magazine, published the offending photoshop in its most recent issue, accompanying its feature on Kate Upton’s pregnancy with an ultrasound of her fetus clearly doctored to have an impossibly perfect hourglass shape. 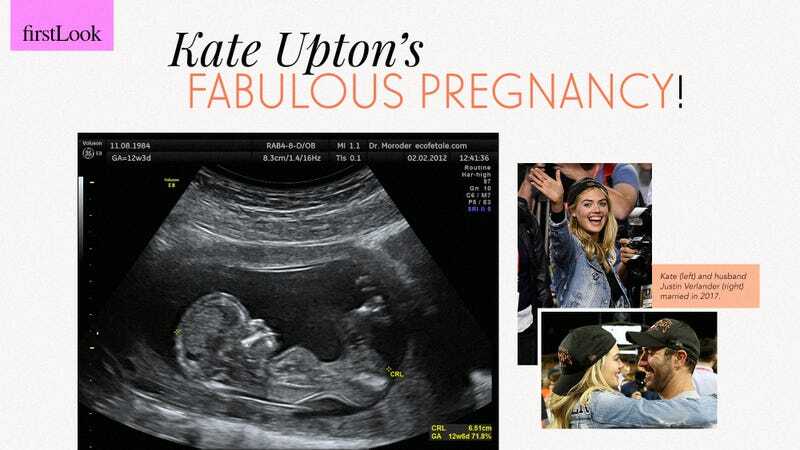 Some airbrushing of minor blemishes is par for the course in the magazine world, but this utterly ridiculous editing job gives Upton’s second-trimester fetus a waistline that makes her look like a Barbie doll. Backlash has been swift and merciless from InStyle’s readership, which was quick to point out that the cartoonishly proportioned ultrasound image appeared in the same issue as an interview in which Sandra Bullock criticizes the toxic effect that retouched images have on women’s self-esteem. InStyle clearly didn’t take Bullock’s message to heart, because just 10 pages later editors were happy to run a photoshop of a fetus with completely unrealistic measurements for no better reason than to sell a few more copies of their magazine. This is absolutely shameful. InStyle might talk a big game about accepting all body types, but its photoshop of Kate’s unborn child shows that its commitment to profits might be just a bit stronger than its commitment to body positivity. Hopefully the magazine learns a lesson from this debacle and figures out that all fetuses look amazing, no matter the size of their waistlines.